Our Scholarship Program is available to any legally blind Missourian pursuing a full time course of study at the college and graduate levels. Visually-impaired students have added expenses because of the nature of their disability. A. Who is eligible to be considered for an MCB Scholarship? 1. All legally blind Missouri residents enrolled in or under consideration for admission to post-secondary training programs, technical school and certified training institutions. 2. The definition of legal blindness is as follows: Visual acuity of 20/200 or less in the better corrected eye or a visual field of 20 degrees or less in the better corrected eye. To be eligible, you must be legally blind in both eyes. 3. The applicant must submit a completed application and all required supporting materials to be considered for an MCB scholarship. All applications must be typed or computer generated. 4. Members of the Missouri Council of the Blind shall receive the full benefits of the scholarship program. Those who are not members shall receive 50% of the scholarship program. The scholarship grant is not to exceed $2,000.00 for MCB members and $1,000.00 for non-members. 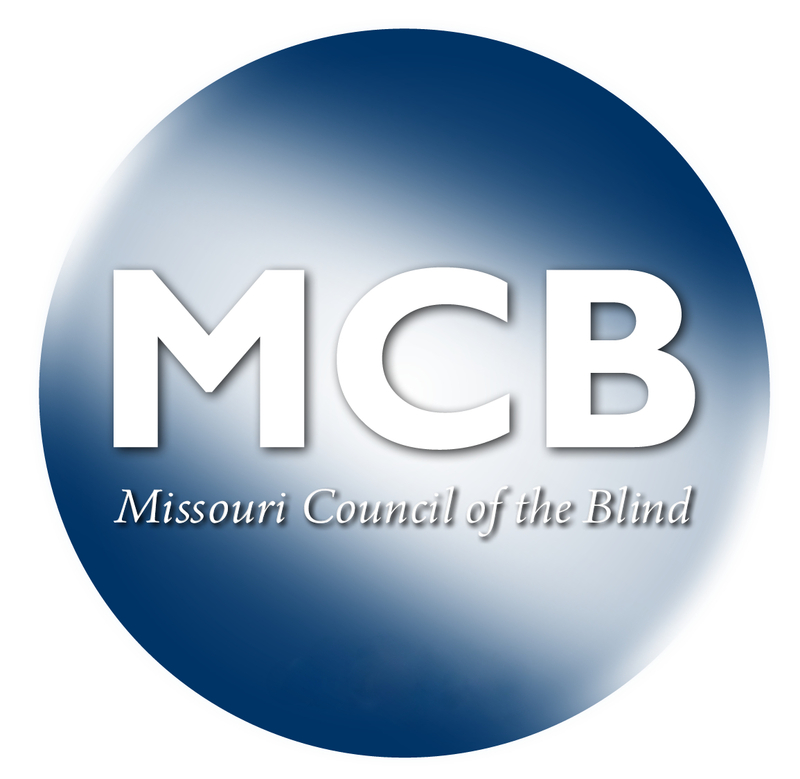 To apply for membership in MCB you may go to: http://moblind.org/forms/MembershipForm.doc or call the MCB office at 314-832-7172 and request a membership application. II. WHEN ARE SCHOLARSHIPS AVAILABLE? A. When and How Do I Apply? 1. Scholarship applications are available after January first from the MCB office. 2. A legally blind resident of Missouri wishing to request an application may call (314) 832-7172 or toll free (800) 342-5632; e-mail a request to: mailto:aa@moblind.org; or by writing to the: Missouri Council of the Blind, 5453 Chippewa, St. Louis, MO 63109. 3. Application must be returned to the Chair of the Scholarship Committee by May 1. 4. Scholarship funding will be awarded for the upcoming school year. A. The Committee's first and foremost consideration in awarding assistance shall be that of merit. The applicant shall maintain a high degree of success in that chosen area of study. The applicant shall maintain a minimum grade point average of 2.0. B. The applicant shall have a specific goal in mind, and that goal shall be realistically within reach. C. In as much as possible this committee shall consult with the Rehabilitation Services of the Blind to determine their assessments of the applicant and the amount of assistance which will be provided by that agency. D. All Missouri Council of the Blind members shall receive $100.00 per month and non-members shall receive $50.00 per month that are enrolled in or under consideration for admission to technical school and certified training institutions. There is a twelve month maximum amount. IV. WHICH DOCUMENTS SHALL BE SUBMITTED FOR CONSIDERATION? Must be typewritten or replicated on a computer. Handwritten applications will not be accepted. D. Proof of acceptance in a post-secondary school. Entering and transferring students must submit notice or letter from the admissions office stating that you have been accepted or are under consideration for admission. A signed release of information form must be enclosed with your application. If your grant request is denied, you may file a written appeal with the MCB Board at its next regularly scheduled meeting. The Chair of the Scholarship Committee will notify you in writing of the Board’s decision. Revised as approved by MCB Board 10/5/2017; Added Item D to Section III for technical school payments. Removed minimum age.